Sarah Oullette is a Licensed Independent Clinical Social Worker in Cranston, RI. 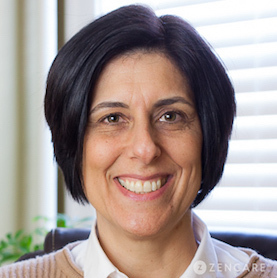 She specializes in treating anxiety, depression, substance use, and eating disorders. She has a special interest in supporting individuals with substance use challenges including alcohol and/or drug use. Sarah Ouellette is a Licensed Clinical Social Worker in Cranston, Rhode Island with specialties in treating depression, anxiety, substance use, eating disorders, and family support for parents of transgender children and those with eating disorders. Sarah has a particular passion for supporting individuals with substance use challenges. She sees adults of all ages with challenges related to alcohol and/or drug use, including opioids. She utilizes a skills-based approach and also serves as a connection point to help clients access local supportive resources. Additionally, Sarah works with individuals experiencing eating challenges, including restrictive eating, in children through young adulthood, as well as their parents. Sarah’s expertise in supporting families of transgender youth stems from her clinical work at Hasbro Hospital’s Medical Psychiatric Unit. She worked extensively with families who were struggling to understand or accept what their children were experiencing, and offers extensive education for parents around gender identity, hormonal treatment, and how to build trust and acceptance with their children. "My approach is supportive and compassionate and I believe the foundation to successful therapy begins with establishing a trusting relationship between the therapist and the client. I work with people of all ages and I specialize in treating people with depression, anxiety, substance use disorders, and trauma and specialize in working with parents and families of adolescents and children struggling with eating disorders and transgender issues. I use CBT and DBT strategies to help individuals to make desired changes in their lives. I work with couples seeking to improve their relationships."